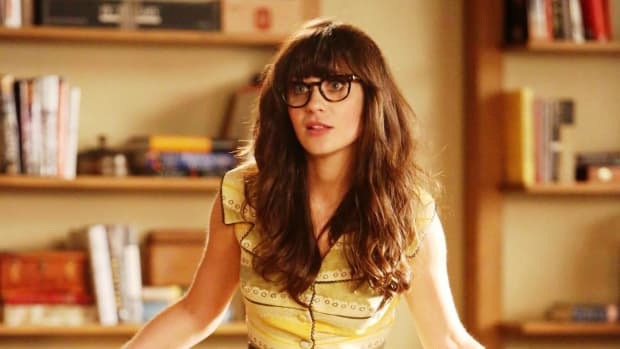 When it comes to donning our patriotism on the Fourth of July, some of us already have a carefully prepared ensemble. As for the rest of us? Well, we are just rummaging through our closets looking for anything that is red, white, or blue. 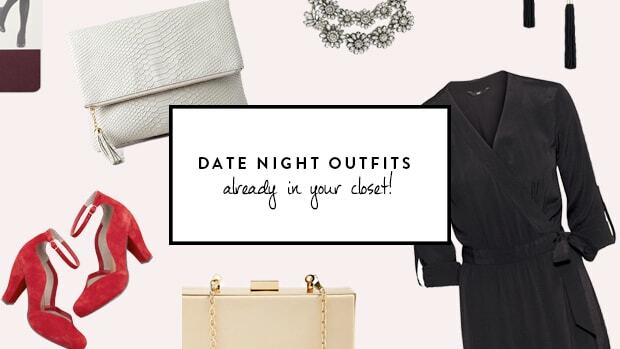 Whether you’ve snagged some last-minute plans and suddenly need an outfit, or you just aren’t into shelling out money on a one-time-wear Americana getup, no need to fret. 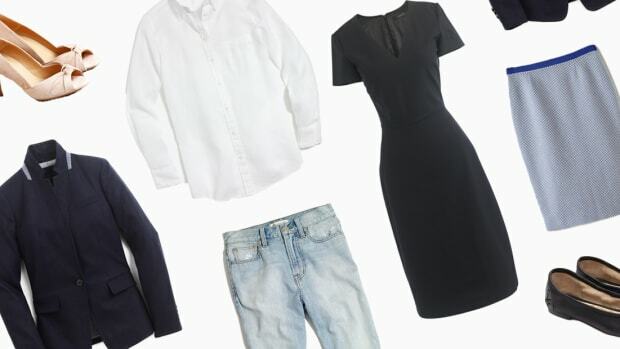 A few staples already in your closet can be assembled into the perfect, not-trying-too-hard wardrobe for Independence Day. 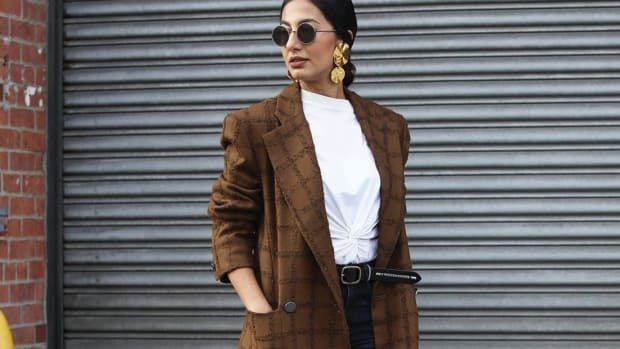 Backyard soirees, lakeside barbecues, fireworks on the promenade, and every activity in between are no match for these resourceful holiday looks. 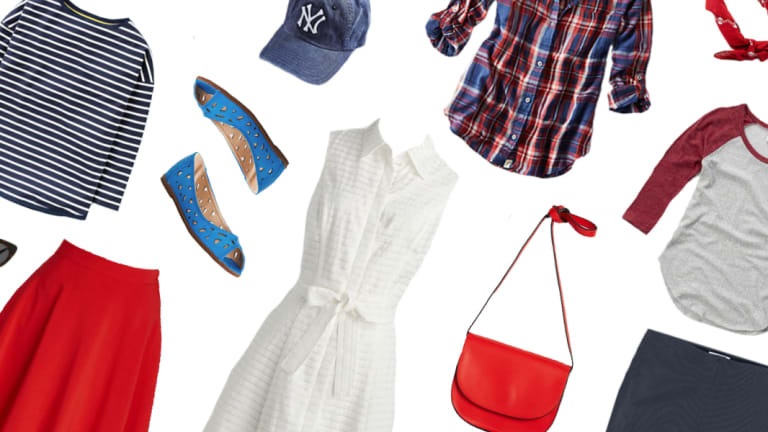 Your Fourth of July outfit doesn’t necessarily have to be obvious; in fact, it can be as subtle as a crisp white dress with red and blue accent accessories. Whether you have a solid white, blue, or red dress, simply choose accessories to match the U.S.A. color scheme. It’s all about cleverly incorporating the colors throughout your outfit in subtle ways. 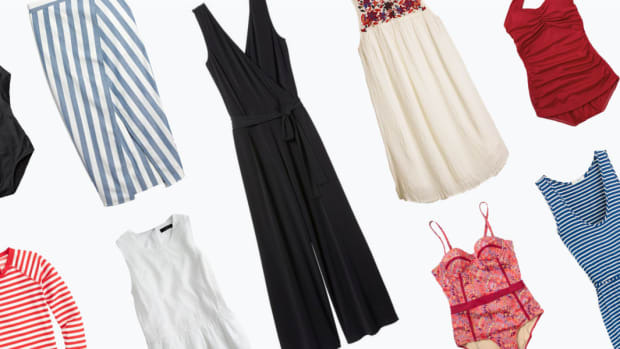 It’s time to give those nautical navy stripes, a hallmark of the summer season, another life. 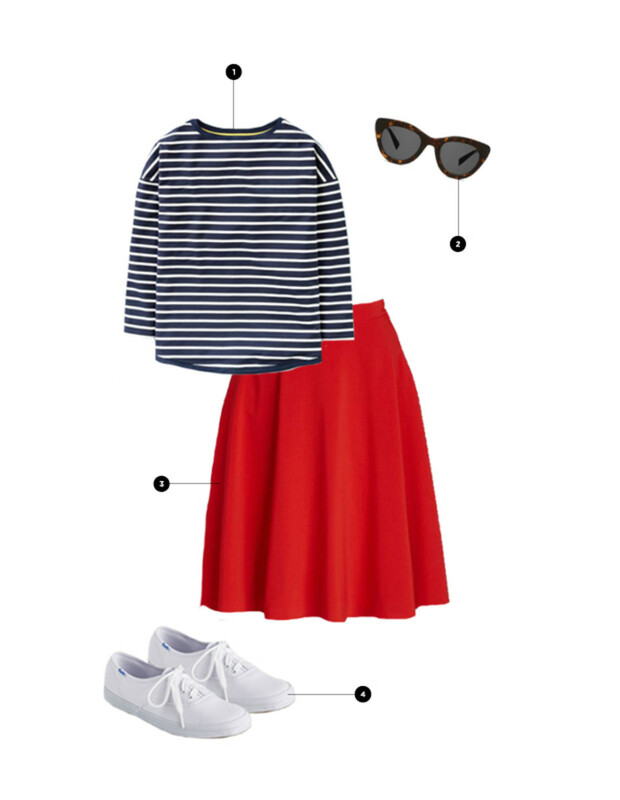 When paired with the same red midi skirt you wear to work and those simple white sneakers you slip into every weekend (you know you gave in to that trend! ), you’ve got a patriotic look that Jackie O. herself would salute. Complete the retro 1950s look by combining these iconic pieces with some glamorous cat-eye shades. We can always count on our trusty chambrays to save the day. The classic faded-blue button-up offers an all-American style that makes any outfit instantly barbecue-chic. 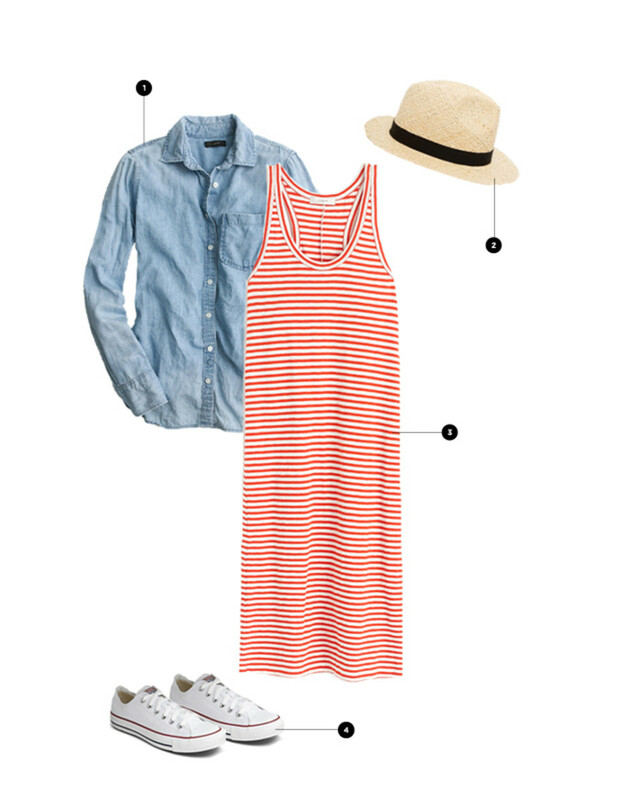 Wear it over your red striped jersey dress, and slip on some Converse All Stars for an effortless Americana look. It doesn’t get more American than baseball, so get ready to dig out your tried-and-true baseball tee from the bottom of your drawer. No shame if it’s your oversize Little League jersey from middle school. To give this old-school top a stylish spin, throw on a stretchy pencil skirt and a pair of sneakers for an edgy athleisure look. 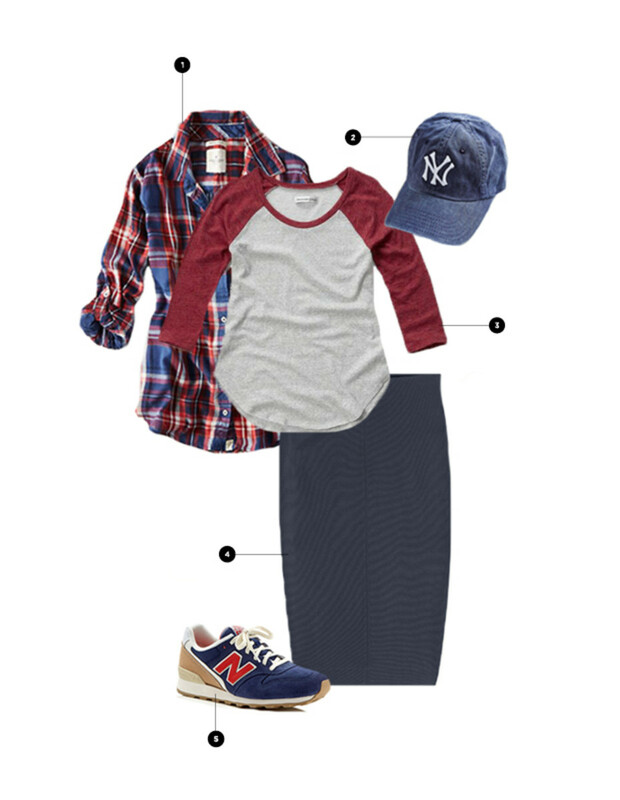 To keep the outfit fun and casual, tie your plaid flannel around your waist, and don your favorite team’s cap. Batter up for the festivities! 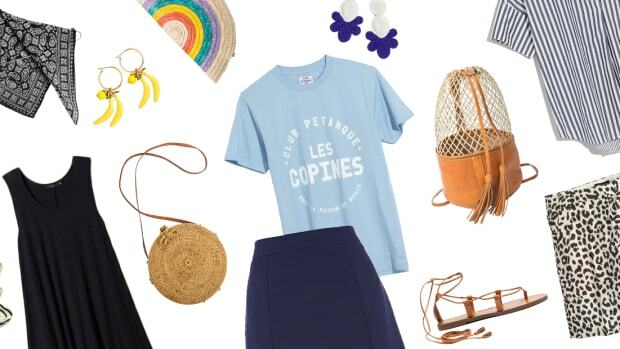 Your patriotic outfit doesn’t necessarily have to come in the form of stars and stripes—in fact, you can still rep our country’s colors with fun floral or paisley prints. 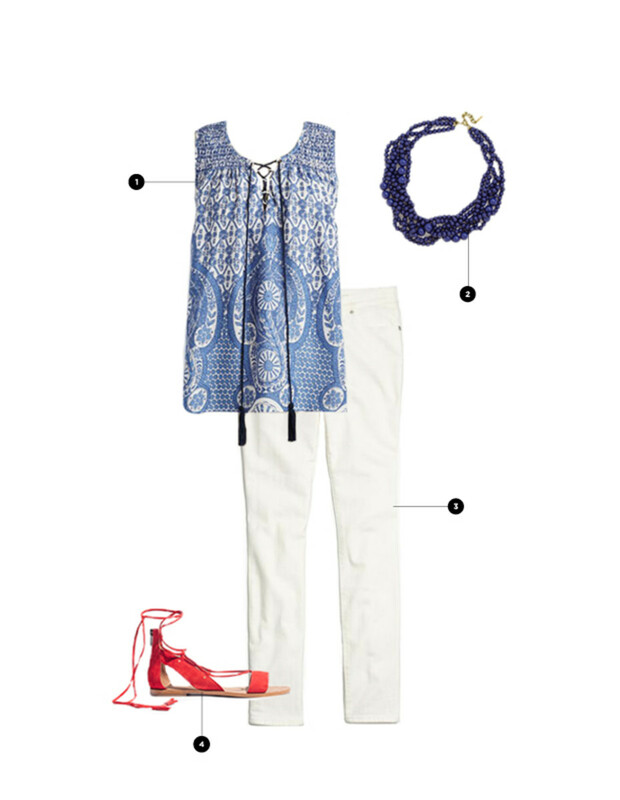 A blue bohemian top, white skinny jeans, and red strappy sandals can be styled into a patriotic and modern interpretation of a classic summertime outfit. Take that, Uncle Sam!